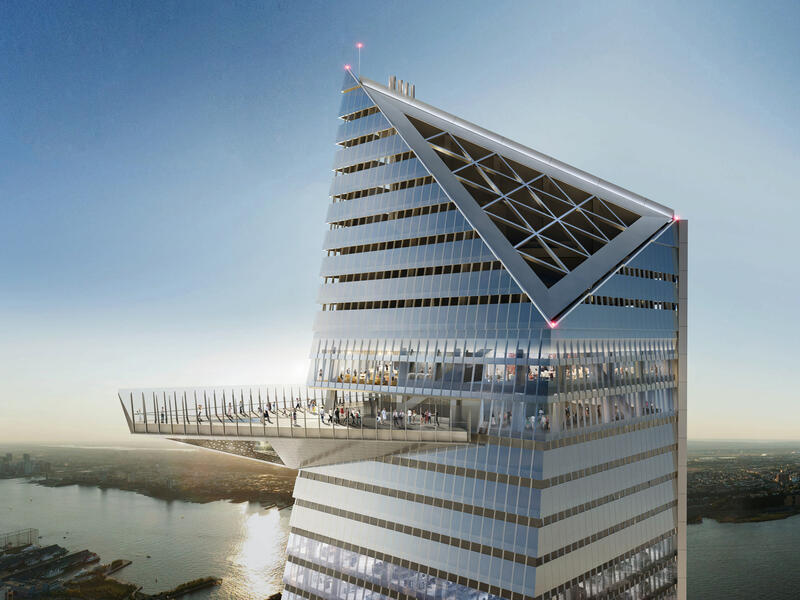 Toronto, Canada (September 20, 2019) – NYC & Company President and CEO Fred Dixon traveled to Canada today to present a new global initiative—&apos;2019: A Monumental Year’—spotlighting several iconic and large-scale openings and developments debuting in the City along with a historic anniversary that will make New York City a must-visit destination next year. Canadian visitation to New York City is expected to increase between 3 and 3.5 percent this year, breaking the 1 million visitor mark for the first time since 2014. In 2017, the City welcomed 970,000 visitors from Canada, the City’s third largest source of international visitation. Dixon was joined by NYC & Company SVP Global Communications Chris Heywood for the announcement held at the Hotel X Toronto. 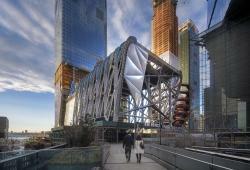 Some of the major new large-scale developments opening in New York City in 2019 include Hudson Yards on Manhattan’s far west side—the largest private real estate development in the history of the United States; The Shed, a multi-arts centre dedicated to global displays of visual art, design, media; and Vessel, a climbable urban landmark created by British designer Thomas Heatherwick. 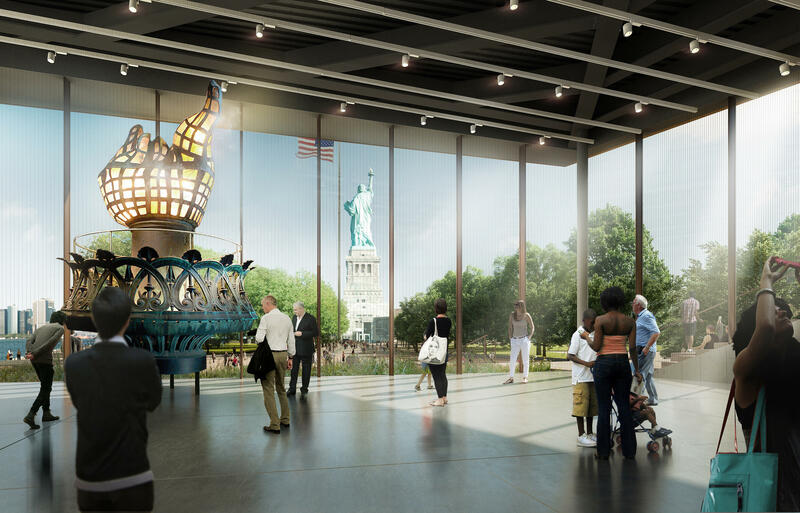 2019 will also see the opening of the new Statue of Liberty Museum, expected to debut next May and the opening of the TWA Hotel at JFK Airport in Queens. Additionally, the Museum of Modern Art (MoMA) is undergoing a renovation and expansion that will increase gallery space by 30 percent and will enhance public spaces. The first phase of renovations is now complete and the next phase will be completed in summer, 2019. In June, 2019, New York City will also welcome WorldPride, the first time the big event will be held in the United States, with three million expected over the 30-day event (the majority of events will be held June 25–30). The LGBTQ celebration coincides with the historic 50th Anniversary of the Stonewall Uprising, the birthplace of the modern gay rights movement. Toronto previously hosted WorldPride in 2014. Additionally, in 2019, MetLife Stadium will host WWE’s WrestleMania 35. New York City welcomed a record 62.8 million visitors in 2017, the City’s eighth consecutive year for tourism growth, with 49.7 million domestic and 13.1 million international visitors. 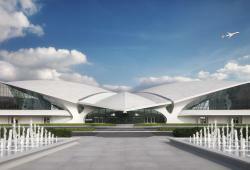 New York City remains the number one US destination for international visitation, visitor spending and economic impact. In 2018, the destination is expected to welcome 65.1 million visitors. This November, New York City will welcome the opening of the 100-store Empire Outlets, NYC’s first and only outlet destination, on the St. George waterfront in Staten Island. 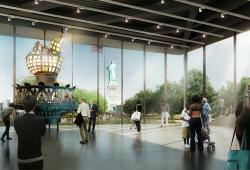 Other new openings this year include Domino Park, which recently debuted on the Williamsburg waterfront on June 10. On June 30, Coney Island’s New York Aquarium also welcomed the opening of the new Ocean Wonders: Sharks! exhibit. The reimagined Seaport District NYC’s Pier 17 opened over the summer with new programming, rooftop restaurants, and future celebrity restaurants. Debuting in the Seaport District’s Fulton Market Building earlier this month was the iconic 28,000-square-foot Milan concept store 10 Corso Como, a further proof point of Lower Manhattan’s continued revitalization 17 years after the events of September 11. New York City continues to have most active hotel development pipeline in the country, with 117,500 hotel rooms and an expected inventory of approximately 140,000 hotel rooms by early 2021. NYC currently has the highest occupancy rate (88 percent on average) and the highest average daily room rate in the nation. The City has seen 40 consecutive months of increasing room demand, with a record 38 million+ room nights anticipated to be sold before year’s end. 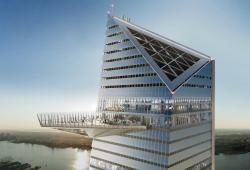 Recent hotel openings include The Hoxton, Williamsburg, Mr. C Seaport and the Moxy NYC Downtown. Debuting later this Fall is The Times Square EDITION. This week’s trip to Canada coincides with NYC & Company’s annual sales mission in Montreal and Toronto, taking place September 17-21, and being led by NYC & Company Managing Director, Established Markets, Reginald Charlot. Participating NYC & Company members include: Empire State Building Observatory, Grand Hyatt New York, Group Sales Box Office at Broadway.com, Hotel Pennsylvania, Iberostar 70 Park Avenue NY Hotel, Marriott International, Museum of Modern Art, The Shops at Columbus Circle, Ripley’s Believe it or Not! Times Square, SPYSCAPE, Topview Sightseeing, and Whitney Museum of American Art.